Plus, what it was like going back to Manila after 21 years. (SPOT.ph) One of the most highly anticipated films of the year is the adaptation of Kevin Kwan's best-selling novel about love, family, and money, Crazy Rich Asians. 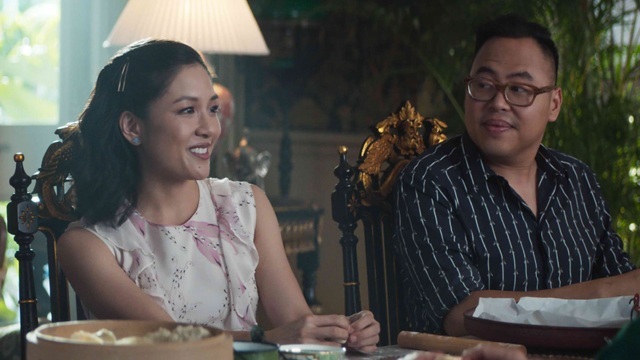 The movie, which is set to premiere on August 22, stars Constance Wu as Rachel, an Asian-American woman brought to Singapore to meet the extremely rich family of her boyfriend Nick (Henry Golding). Crazy Rich Asians explores the high society of Asia never fully explored before in a Hollywood film: The opulent mansions, the beautiful locales, the lavish parties—with an all-Asian cast. The film's already breaking records as the first Hollywood studio film in 25 years to center on an Asian-American story with an all-Asian cast, making it an extremely significant film to come out of the blockbuster-producing giants in Hollywood. But Crazy Rich Asians is also hotly anticipated in the Philippines because of the much-publicized appearance of Kris Aquino. 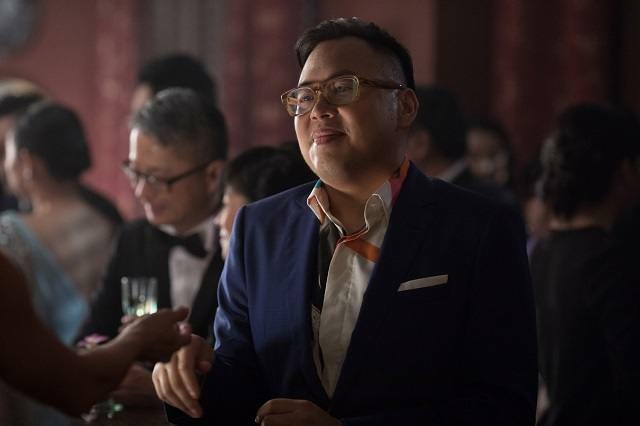 Aquino is one of two Filipinos in the cast, the other being comedian and Superstore star Nico Santos, who is playing the scene-stealing Oliver, Nick’s second cousin. 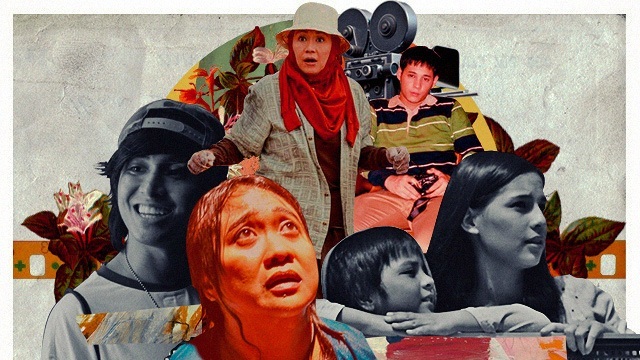 The Manila-born funnyman is very excited for his home country to watch this film and is incredibly thankful for the chance to represent queer Asians in Hollywood films. And with his big personality and quick wit, he's ready for his close-up. SPOT.ph had the chance to talk to Santos over the phone for a chat about being in this major film, visiting the Philippines again after 21 years, and of course, the Queen of All Media herself. Director Jon M. Chu said that this isn't just a movie, but also a movement for Asian-Americans. Does that add a lot of pressure? Are you excited to share this film with everybody? I'm very, very excited. Yes, there's a little bit of pressure [but] I'm just more excited about the fact that we get to show this incredible movie to everybody. Honestly, for me, I'm not really thinking too much about how well it's going to do in the box office. I hope it does, but for me, just being a part of this incredible movie with this incredible cast that has such a cultural impact and cultural significance is already a major victory. I hope that this movie will just open the doors for more authentic stories to be told from our points of view because I think it's about time, and people are really yearning for it. For you personally, how big is this movie? It's huge. I was born and raised in Manila. I moved to the United States when I was 16 in search of a better life. My dad really believed in the American Dream. And this was a dream! I dreamt about being in entertainment somehow since I was a kid and the fact that I'm a part of this movie that means so much to the Asian-American community is not lost on me. I'm very grateful for that fact. It really hit me when I was filming this movie because, like I said, I left when I was 16, and I find myself now as an adult being flown by Warner Bros. back to Asia to film this incredible movie. I [had to] pinch myself a few times to make sure that this wasn't a dream. How was your experience filming in beautiful locations and amazing sets? Filming was like a paid vacation, let me tell you! It was so great. It was almost criminal that we were getting paid to work on this movie! First of all, the locales were amazing. [It] was my first time in Malaysia and in Singapore, and I was completely blown away by the beauty of the countries. What was it like filming with the movie's incredible cast? We really bonded right away. It was instant chemistry with all of us. It felt like you were hanging out with all your cool cousins that you hadn't seen in a while. That's what it felt like. We ate dim sum every day, we sang karaoke every night. We partied when we weren't working. It was just a really amazing experience. Your character Oliver is the self-described rainbow sheep of the family, but he bonds right away with Rachel. Why do you think that is? Oliver is queer and Oliver feels like an outsider in his own family. When you're queer, that's generally the feeling you have—you're a stranger even amongst your own family. He's also not as rich as the rest of his family is. So when he sees Rachel, his heart really goes out to her because he knows what it's like [with the] amount of work it takes you have to do to be able to belong in a circle like this. His heart really goes out to her. He wants to help her out and protect her in a certain way, and to make sure that she doesn't just get trampled on. There are a lot of great shots of food in this film as well. Didn’t you feel hungry all the time? Oh my god, I cannot believe I didn't gain 20 pounds filming this movie. Between eating in Malaysia and in Singapore, I also had a chance to go back to the Philippines for the first time in 21 years and let me tell you, I ate everything! Tell us more about your trip back to Manila. When we were filming this movie, I had about two weeks downtime between my scenes, and I was able to go back to Manila for the first time in 21 years, and it was a really emotional experience. I was able to see relatives I haven't seen in that long, I was reunited with my yaya, who was basically like my second mom, who raised me. Seeing how much Manila has changed, but also remained the same, it was really magical and emotional. I'm never gonna forget it. 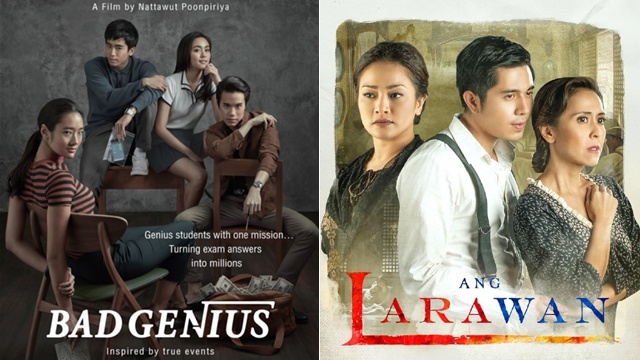 When you moved to the States, what was going through your mind when you thought about going into the entertainment industry as an Asian and as a Filipino? It all kind of happened in a roundabout way. I started out as a theater major and I was majoring in performance in acting, and my acting professor told me that I was never gonna make it in the business because I wasn't a good actor, and convinced me that I should switch my major from acting to design, [and] that's what I did! I was a costume designer in college, and I worked in theater doing wardrobe. But then one of the actors that I was in charge of dressing at the theater company that I worked for was like, “You're really funny, you should try stand-up!” That's how I began performing again—through stand-up [comedy]. I never thought I would be acting again. When I started my stand-up career—I've been doing stand-up now for about 13 years—I thought I was just gonna focus on stand-up and nothing else. When I moved to Los Angeles, my manager told me that I should start auditioning for television and I ended up booking roles and the acting thing has really been only happening for me for the past four or five years. It's really kind of ironic that I find myself acting again after being told that I was never gonna make it in the business, but here I am in a big Hollywood movie! It's insane. A lot of people are excited for your and Kris Aquino's appearance, so what do you have to say to the Filipino fans who are really excited to see this movie? They're not gonna be disappointed. Between me and Kris, we represent the Philippines through and through. They're gonna be so happy with the way this movie turns out. It's a fun, amazing movie and I hope that they come out and see it, and celebrate the fact that this is the first [studio movie with an] all-Asian cast in 25 years and it's a big deal for not only Filipinos but for all Asians globally. Crazy Rich Asians premieres on August 22. Photos courtesy of Warner Bros. Pictures.